After a summer well spent we team up with our brothers from Island Rockers to bring you a heavyweight sound system night with the return of Dub Engine and our comrades from Digitron Sound System from Croatia. Dub Engine are Sabry & Nico, based in Bologna, over the years they have created their own brand of dub – psychosteppa – a heavy, well rounded, driving steppa sound infused with a punk attitude and electronic music influences. With Sabry on vocals and effects and Nico handling the machines, their gear-heavy, intense, live show is something that needs to be heard, seen and felt. Digitron, the Balkan Defenders are a Zagreb-based punk crew that run one of the most infamous sound systems on the scene and are known for their ruff ‘n’ tuff heavyweight selections, headed by their crazy selector Vrki and Andrija on the mic. This will be their first time inna Malta. The crews from Island Rockers and Bass Culture will be warming the session with a selection of roots, reggae and dub. 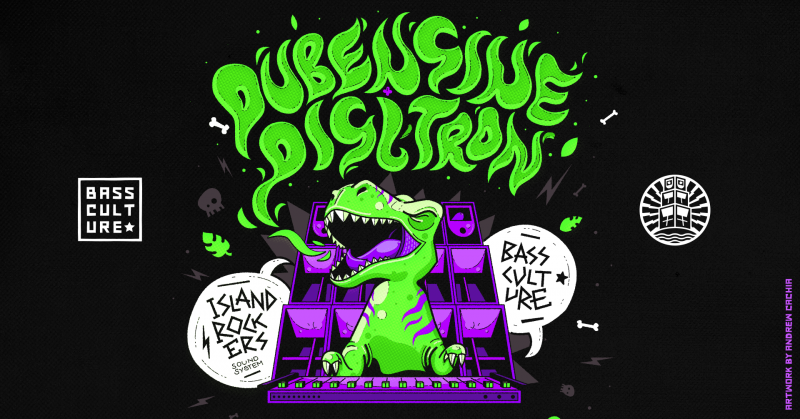 The session will be held at the Warehouse club in Zurrieq, the perfect setting for this jurassic dub experience. Ticket price is €10 online from trackagescheme.com and €15 at the door.